Posted by grhomeboy in Arts Exhibitions Greece, Hellenic Light Europe. ‘Gaia’ > a work by Vana Xenou, is on display at the Paris Palais Royal. The myth of Demeter and Persephone and the Eleusinian Mysteries has been an ongoing subject of interest and research for artist Vana Xenou. For more than a decade, the painter has delved into the symbolism of the myth and has used it as a source of inspiration for some of her strongest and most ambitious artistic projects. “Arrivee-Passage”, a sprawling installation that opens on October 18 at the gardens of the Palais Royal in Paris, is Xenou’s latest venture, a project that expresses her fascination with the ancient Greek myth. Running to December 25, the exhibition, held under the auspices of the Greek Ministry of Culture and curated by Solange Auzias de Turenne, an organizer of large, international exhibitions, includes 10 monumental installations of a total of 45 large sculptures. As with other of her projects, Xenou’s Paris project employs a historical site for the display of her work. She brings references to antiquity into a building of French 17th and 18th century architecture, thus initiating a dialogue between two different cultures and historical periods. Xenou’s work suggests that the myth of Demeter, like other Greek myths and archetypes, transcends time and cultural differences and harbors deep symbolisms that are still relevant.Another installation by the artist on the myth of Demeter was held in Paris seven years ago, at the Saint Louis Church of the Salpetriere Hospital. In 2004 and within the context of the Aeschylean festival, an exhibition with the same title as the Paris project was held at a venue of industrial architecture in Elefsina, the birthplace of the famed Eleusinian Mysteries of antiquity. Vana Xenou has also produced impressive artist’s books with the themes of Demeter and Persephone. Drawings as well as a number of her one-of-a-kind artist’s books will be presented in the exhibition halls of the French Ministry of Culture, which is housed at the Palais Royal. The French Ministry is one of the exhibition’s organizers. Works by young Balkan choreographers are about to jump to the stage of the Athens Concert Hall. The Fourth Balkan Dance Platform, which takes place in Greece this year, kicks off tomorrow and runs to Saturday. 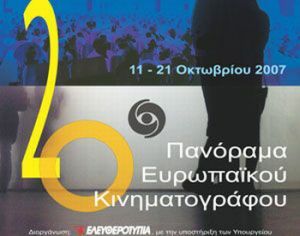 The dance performances, the seminars and the discussions will be held at the Megaron’s Dimitris Mitropoulos and Nikos Skalkottas halls. The three previous platforms, which took place in Sofia in 2001, in Bucharest in 2003 and in Skopje in 2005, left audiences with a happy feeling and the impression that something special was in the works. The BDP is the only nomadic contemporary dance event that presents works by young and up-and-coming artists from the Balkans. It features an international team in charge of the organization and selection of the works. Participating artists work hard, focusing on the promotion of the region’s multicultural character, the need for dialogue and communication and a goal of international collaborations. The platform aims to promote the work of these artists by introducing to the international dance scene an area where dance is still at its very early stages. It hopes to provide them with opportunities that will transcend the prevailing political tendencies and beliefs. Greece first participated in the platform in Bucharest in 2003. “It was the first time we were going to meet our Balkan colleagues and we felt a bit ill at ease. We came across something unexpected, performances of great quality. That gave us the strength to go on,” said Christina Polychroniadou, in charge of the organization of the Athens platform, in a recent press interview. “I am very happy to present my work in Athens, especially in a pan-Balkan meeting that enables artists to place their work in a wider context,” said Jelka Milic, a young Slovenian choreographer who studied at Austria’s Salzburg Experimental Academy of Dance. She will present her 20-minute choreography “Folding” featuring music by Patsy Cline, Chris Isaac and Serge Gainsbourg. One of the highlights of the platform is “Monday in the Sun” by Turkey’s Bedirhan Dehmen and Safak Uysal. The choreography, which unfolds on a set reminiscent of boats traveling the Bosporus, is a male duet with a background of images from Istanbul’s coastline. Greek highlights include newcomer Patricia Apergi’s striking solo “Anorexia Socialis” Evangelos Poulina’s interactive spectacle “Verge” and Tassos Karachalios and Georgia Vardarou’s duet “Serenity Square”. “My Private Biopolitics” a solo by Serbian Sasa Asentic, is a comic commentary on the rules that define contemporary dance today. Another eagerly awaited work is “Imago” by Violeta Vitanova and Stanislav Genadiev from Bulgaria, a technically powerful choreography, unusual for Bulgarian artists, who have been more geared toward performance art. Posted by grhomeboy in Arts Events Greece, Movies Life Greek. Opens tomorrow October 11 and lasts through Sunday October 21 in Athens. The Panorama of European Cinema is a film festival dedicated to European and Greek Cinema, past and present, which is organized for the last 20 years. Throughout its 20 years of existence, the Panorama, has become a well-established cultural event that adds its own kind of glamour to the Athenean Cultural lifestyle. Aris, one of five Greek qualifiers, drawn against Red Star Belgrade in UEFA Cup group stage > Group rival Bayern is UEFA’s best, Bajevic said. Dusan Bajevic, now coach of Aris, who was sacked by Red Star Belgrade last March, will face his old club in the UEFA Cup’s group stage, yesterday’s draw in Nyon determined. Aris, drawn in Group F, one of eight five-team groups, qualified for the competition’s group stage along with Greece’s four other candidates: AEK, Panathinaikos, Larissa and Panionios. Also drawn in Group F were Bayern Munich, which Bajevic described as the competition’s most formidable team, Bolton and Portuguese club Braga. “Bayern are the best side in the competition and will top our group. We have nothing to lose and we will give it our best shot, I believe we have a fair chance of qualifying. It’s important to record a victory in our first home game against Red Star to lift spirits ahead of our trip to Bolton. We need at least two victories to qualify and won’t feel the pressure we had against Zaragoza. I believe in my players’ abilities,” said Bajevic. Aris begins its campaign on November 8 against Red Star in Thessaloniki. “Fiorentina and Villarreal are traditional, experienced European sides who compete in very strong leagues. We’re eager to show that we can do great things in this competition, but the first match at Elfsborg will be a tricky one because of their artificial turf,” said Ferrer, whose team leads the Greek league. AEK is hosted by Elfsborg on October 25. Drawn into Group B with Lokomotiv Moscow, Atletico Madrid, FC Copenhagen and Aberdeen, Panathinaikos begins its quest in Athens against Aberdeen on October 25. “I think we can qualify along with Lokomotiv and Atletico. Russian teams have greatly improved in recent years and have invested a lot of money,” said Panathinaikos’s Dimitris Salpiggidis. Larissa faces AZ Alkmaar, Zenit St Petersburg, Everton and Nuremberg in Group A. Panionios, in Group H, meets Bordeaux, Austria Vienna, Galatasaray and Helsingborg. All UEFA Cup group-stage qualifiers play two games at home and two away. The top three from each group advance to the next stage where home-and-away knockout encounters begin all the way to the final on May 14 at the City of Manchester stadium. Apollon Kalamaria of the top-tier Super League advanced to the Greek Cup’s fifth round with a 2-1 away victory against Kallithea yesterday. Super League clubs enter the Greek Cup in the fourth round of play. Fourth-round competition continues today with five more encounters involving five Super League clubs against lower-tier rivals, all at home. PAOK is hosted by Thrasyvoulos, midtable in the second division. Atromitos travels to Olympiakos Volos, currently third from bottom in the second division. Levadiakos plays at Ethnikos Katerini, midtable in one of Greek soccer’s two third-division categories dividing north and south. Veria is greeted by PAS Preveza, sixth in its third-division league. Aegaleo, midtable in the second division, takes on Xanthi at home. Norway’s biggest banking group DnB NOR announced yesterday that it would establish a new non-life insurance company by the end of 2008. The company also said in a statement at the beginning of a capital markets day event for investors in London that it would open three new international offices, in Chile, Greece and India. Greek furniture and house equipment company Cocomat is expanding into the markets of Saudi Arabia and the United Arab Emirates. This week it is opening a store in Jeddah and, by the end of the year, another in Dubai. It will also add one more in China to the two that already operate. In Greece it is seeking spaces for two flagship stores in Athens and Thessaloniki, having started opening shops in Alexandroupolis, Orestiada, Volos and Kozani.